Our books are hot off the press and ready to slip into your hot little hands! We have a variety of pricing options for your purchasing pleasure. For ordering information (including shipping costs) please send us an email. Our books are almost ready and we’re taking our show on the road; The Emergency Response Unit will be selling our chapbooks at the Ottawa Small Press Fair. The date is November 15, the time is noon to five, and the location is the Jack Purcell Community Centre at 320 Jack Purcell Lane, just off of Elgin, at Gilmour. 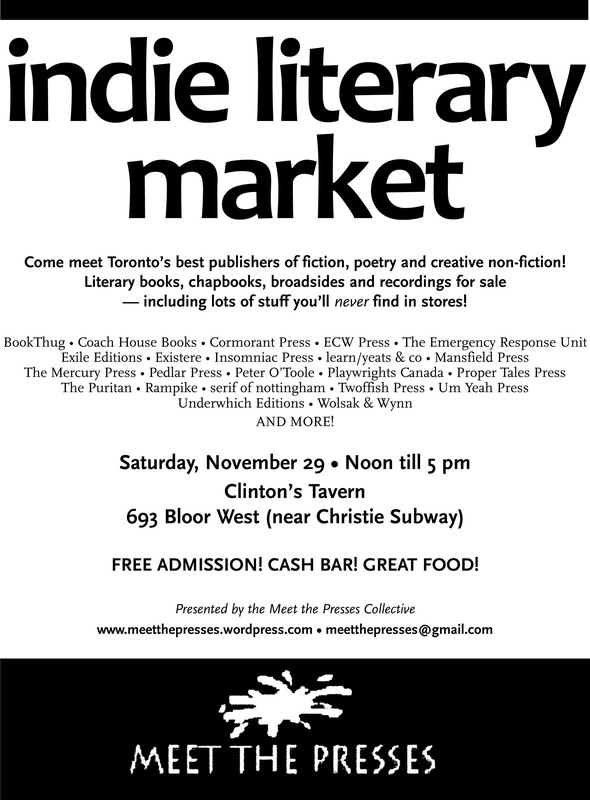 Come and visit and help us sell out our first round of books! Also, on Friday night, co-founder Andrew Faulkner will be reading at the pre-fair reading at The Carleton Tavern (223 Armstrong St., at Parkdale). Doors at 7pm, readings at 7:30pm.